Verizon 5G Broadband will include YouTube TV, Apple TV at Four Initial Markets. YouTube TV service and Apple TV 4K decoders will be included with Verizon's initial 5G residential broadband launch in four cities: Sacramento, Los Angeles, Houston and Indianapolis, the telecommunications company announced. With the pacts, Verizon seeks to build a competitive advantage in the new 5G wireless technology leading with video entertainment, delivered through low-latency, high-speed networks. Verizon is on track to be the first wireless technology provider to deploy 5G residential broadband service in the US. UU By the end of this year, it will provide 20-50 times the bandwidth of 4G LTE technology and will be a credible replacement for wired broadband. As mobile devices become available in early 2019, the company expects to be the first US operator to launch the 5G mobile service. "We believe that 5G will further disturb the entertainment industry and we are pleased to offer our customers the choice of the best network, the best content and the best partners," said Hans Vestberg, Verizon's new CEO, when announcing the deals. Verizon said the specifics of the YouTube TV and Apple TV offerings will be announced when the 5G residential broadband service goes on sale. YouTube TV is likely to be integrated for a limited time (for example, one year). YouTube TV, Google's Internet TV subscription service launched in the spring of 2017, typically costs $ 40 per month for a set of more than 60 channels, including ABC, CBS, Fox, NBC and cable networks , including TNT, TBS, CNN, ESPN, AMC and FX, and local sports networks of NBC Sports, Fox Sports and NESN in selected markets. Verizon's 5G residential mobile service will also include an Apple TV 4K decoder, which provides access to dozens of streaming services, including Netflix and Amazon Prime Video, as well as a wide range of movies and TV shows from iTunes. Verizon had been developing its own television service delivered but abandoned that plan in favor of working with other video providers, and finally signed agreements with Google and Apple. Last month, Verizon closed the free and compatible Go90 mobile video service, after it failed to gain traction, and the company charged a $658 million charge in the second quarter related mainly to the closure of Go90. At the same time, Verizon has increased its game for mobile sports content by signing a five-year contract with the NFL worth up to $2 billion for US mobile rights. UU And an expanded pact with the NBA to offer live products outside the market. game subscriptions. Verizon plans to boost live sports content through its Oath properties, including Yahoo Sports, seeking to become the ideal destination to watch sports on wireless devices. Vestberg, formerly CTO of Verizon after serving as CEO of Ericsson, officially assumed the position of CEO at Teclo on August 1, replacing Lowell McAdam. Industry observers saw the appointment of veteran technology executive Vestberg as Verizon choosing to prioritize their wireless networking business over a strategy based on original entertainment properties (as has its rival AT & T with the acquisition of Time Warner). 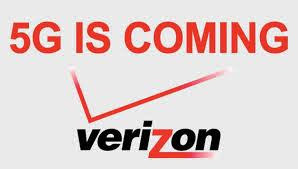 McAdam earlier this year told Wall Street that Verizon was "unequivocally" not pursuing any major mergers and acquisitions business. Last month, McAdam telegraphed the telecommunications company's strategy to form a team with OTT partners in 5G. "We're not going to be content owners, we're not going to be competing with other content providers," he said in his earnings song "Swan" on July 24 on Verizon's second-quarter results. "We will be your best partner from a distribution perspective." In the same call, Vestberg also referred to the opportunity to reach content offers: "I see only opportunities when we go to 5G when you can build connectivity platforms and applications, and more or less define where you're going to play in that or where you're going to have partners. "